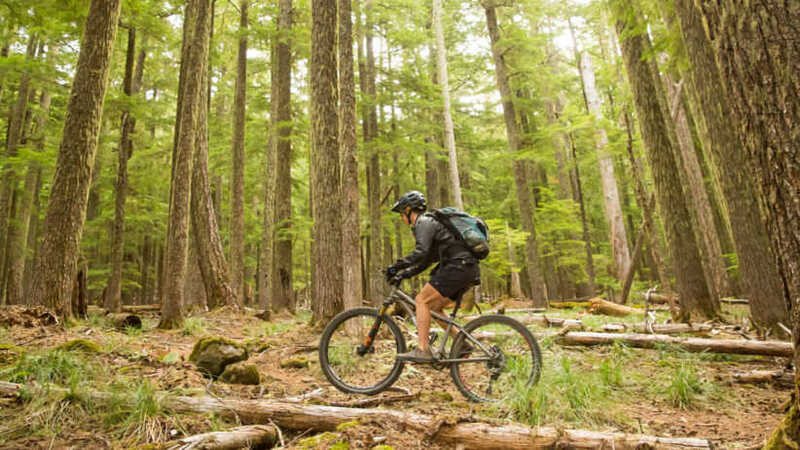 Mountain bikers sample the Oregon Timber Trail in shorter, yet still epic, rides. The literal high point of the Oregon Timber Trail is found on its southern section – the Fremont Tier. The natural world spreads out here, with broad horizons best taken in from mountaintop perches along the trail. 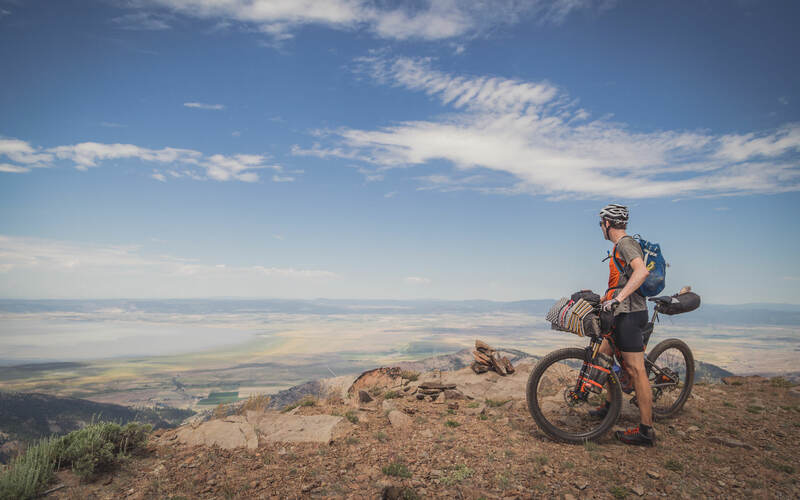 Featuring mountains and marshes, wildlife and miles and miles of barely used singletrack, the Fremont Tier is big country for a big adventure. One of the allures of the Oregon Timber Trail (OTT) is that it offers a south-north “core sample” of the state. That means multiple kinds of terrain and topography – as well as different types of towns and attractions along the way. 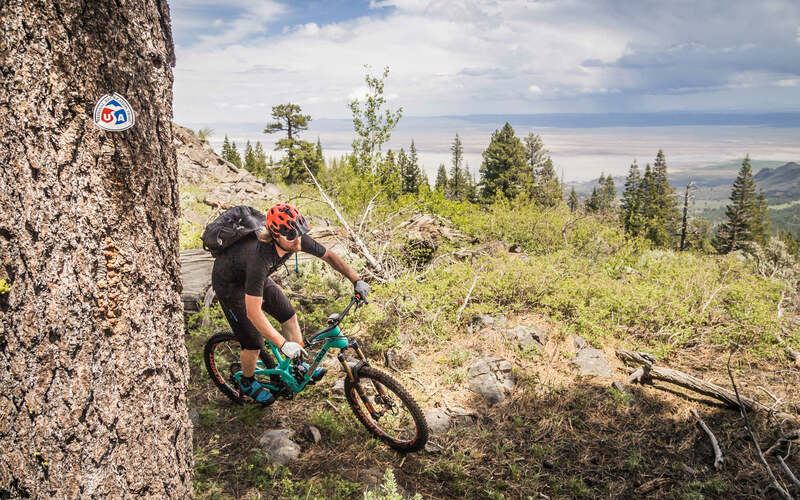 A weekend trip to ride the Timber Trail’s southernmost tier, the Fremont Tier, lets you explore some of the most isolated, authentic and warmly welcoming towns on the trail as part of your epic riding experience. This is the OTT tier that is the most wide open – with some seriously stunning views. Coming here makes you a valued visitor. With less crowds and lots of offerings, it’s easier to get to know the locals. You won’t feel like a faceless tourist, that’s for sure. Do a little map-gazing as you plan this trip. The segments we’re laying down for you are somewhat spread out, but all three rides can easily be reached from a variety of base camps. Set up at one end of this trip in Lakeview (Oregon’s highest elevation city) or at the other end in Paisley – or opt for something off the beaten path at Summer Lake or even nearby Silver Lake. But we’ll get back to the travel considerations later – let’s talk about the riding. It just feels right that you’d want to experience the very beginning of the line – the southern terminus of the OTT, which paradoxically starts in California. The Crane Mountain segment sets the table for all other pieces of the overall trail, by taking you up to a king’s-view position where you can look over the land spreading out in every direction. After enjoying some spectacular ridgeline riding, you’ll end up atop Crane Mountain, gazing out from 8,300 feet at rangelands, wildlife refuges and mountain ranges both near and distant. The magnitude of the land may just make you forget that you had to climb for four miles to get there. If you don’t have a shuttle set up, turn around at this point and head back to your vehicle at the trailhead. If you’re able to with a friend or a local , make your way back to Lakeview, a major base camp for this tier. Switch your focus up to the Paisley area for the other two rides. Chewy Valley (local shorthand for Chewaucan River Valley) offers a great out-and-up/back-and-down ride, where you can decide when to turn around. The way it’s mapped here is a 21-mile out-and-back to the summit of Warner Butte – which affords you another incredible viewpoint. From 7,200 feet (getting used to the altitude yet?) you can see in all directions. But even if you turn around earlier, you’ll get a delightful taste of the nature of this region: vast prairies, giant ponderosa pines and groves of delicate aspen. Odds are high that you’ll encounter some interesting wildlife; great horned owls are known to hang out here, and the entire region is a birdwatcher’s paradise – this territory is on a major migration path for dozens of species. Note: Many parts of this ride were affected by the Watson Creek Burn, making the Bear Creek Loop closed to cyclists for the foreseeable. Stay tuned for more details as to when the route will reopen. This is the Queen Stage of your adventure. You can choose to ride it first or last, but either way it’s likely to be the most memorable ride of the trip. You’ll be exhilarated or exhausted – well, probably both. Get ready for intensity. As a loop, this one totals 47 miles and gains about 4,800 feet. Of course if you’re short on time or energy, you can always run it as an out-and-back from town. But that would deprive you of the highlight of the route at the farthest point in the loop (isn’t it always that way? ): Winter Rim. Bordering the Summer Lake valley, Winter Rim stands sentry 3,000 feet above the valley floor, making for some stunning topography. The Wild and Scenic Sycan River runs toward the ocean to the west, and the Chewaucan heads east before evaporating in the alkali Lake Abert. Marshes, aspen groves and the vast lake bed construct a view tableau you won’t soon forget. You should be plenty fired up about the riding by now; here are some other considerations for your trip. The Tall Town Bike and Camp shop in Lakeview can be a valuable resource. 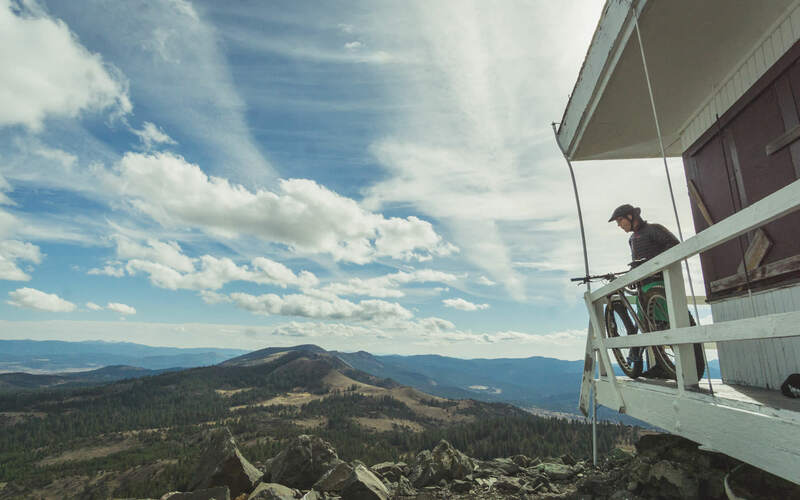 Lodging can be found at the Hunter’s Hot Springs Lodge, Paisley Sage Rooms, Summer Lake Hot Springs Resort or, if you book early enough, reserve one of the Forest Service fire lookout towers or cabins in the area. The Pioneer Saloon in Paisley is worth a stop for beer, pizza and about 140 years of history. And then there’s the Cowboy Dinner Tree just outside Silver Lake. At this legendary “diner,” choose from a giant steak or a whole chicken for dinner, plus all the fixins. But be sure to reserve; it books up months in advance. There are also cabins at the Cowboy Dinner Tree if you don’t want to be too far from your food.